Complicated materials are a per-pixel, per frame cost, so it’s not always easy to justify making them. This could easily have just been a uniquely unwrapped 2048 tiled texture set, with the detail painted where I want it. The way I set it up allows for memory savings, and re-usability, but sacrifices performance for that. I won’t go into detail on the Blueprint setup, it just increases / decreases the water level as the player stands in front of the floating red valve. There is a volume around it, and as you move in and out of the volume, the direction of water flow changes. The two layer blending is mostly identical in setup to the checker plate material I mentioned at the top. 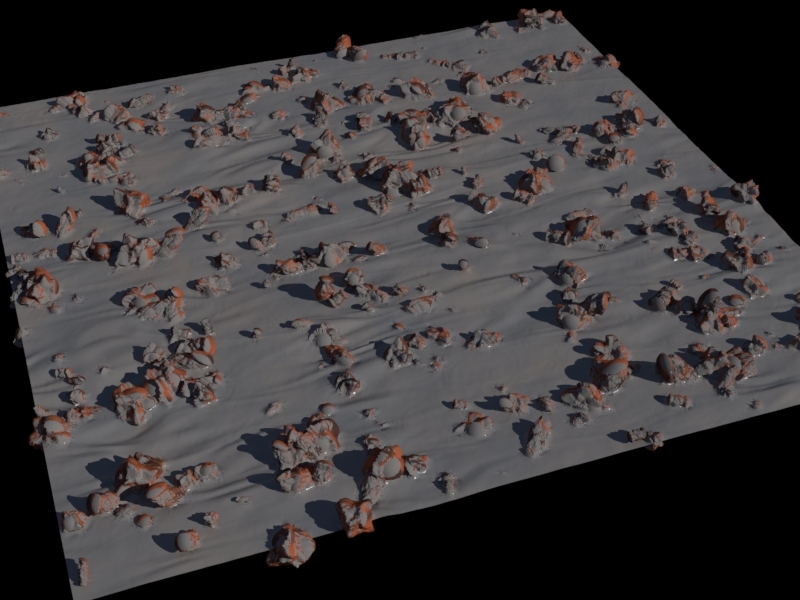 The only difference being the height values, which get blended together and this resulting height is the main input for the water surface (as well as for breaking up the blending, so that tall rocks stick out a bit from the vertex blend). I decided to make all of the textures procedurally. A smarter man probably would have used the Substance tools, or ZBrush, or Houdini. Or photo source for that matter. 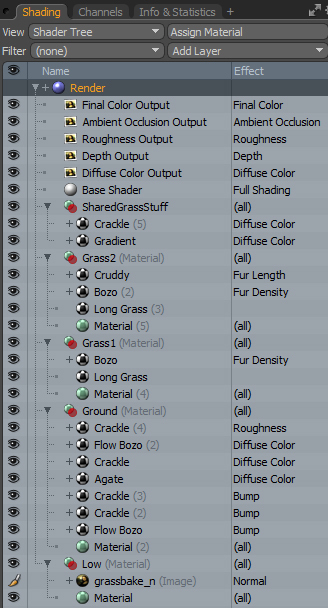 So I used two layers of fur to make the grass, along with a bunch of procedural noise layers. So yeah, I’m not going to win any amazing texture art of the year awards. But, at least it gives me pretty accurate height data to play with, which is important for water-ness! The current water level is passed into the material, and is used to threshold the height map, to work out where the water is. As a side note, the first shader of mine I saw running in a game was a threshold effect like this to make oil run down the side of a plane. You’ll notice I’m putting out two return values here: Mask and Depth. The Depth is very similar to the mask, but does not use the falloff value, so it essentially “how far is this pixel from the current water level”. I use this Depth value to tint the water with a bias, so that I can have muddy puddles that are a clearer where they are shallow. The water also has a sine wave running over the height, just to give it a little bit of ebb and flow. Right, so, with the water height determined, I can then use the depth of the water for a fake refraction effect. This is usually where I’d pull out the BumpOffset node, but it uses height maps, and I had a Normal map handy for the water surface. I made a simple normal based parallax function, just because I’ve had good results with this for various materials (including the UI) on Ashes Cricket 2009, and various previous attempts at rivers and water effects in other games. 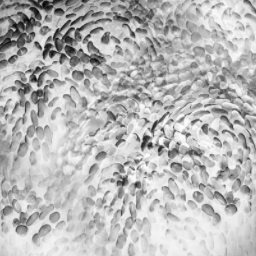 Although I’m only using a single transparent layer, my go-to paper has always been “Rendering Gooey Materials with Multiple Layers” by Chris Oat, from Siggraph 2006, just because it has a really nice clear example for parallax offset. Please pretend that “Vector_Reflect” is a “CustomReflectionVector” node, btw. 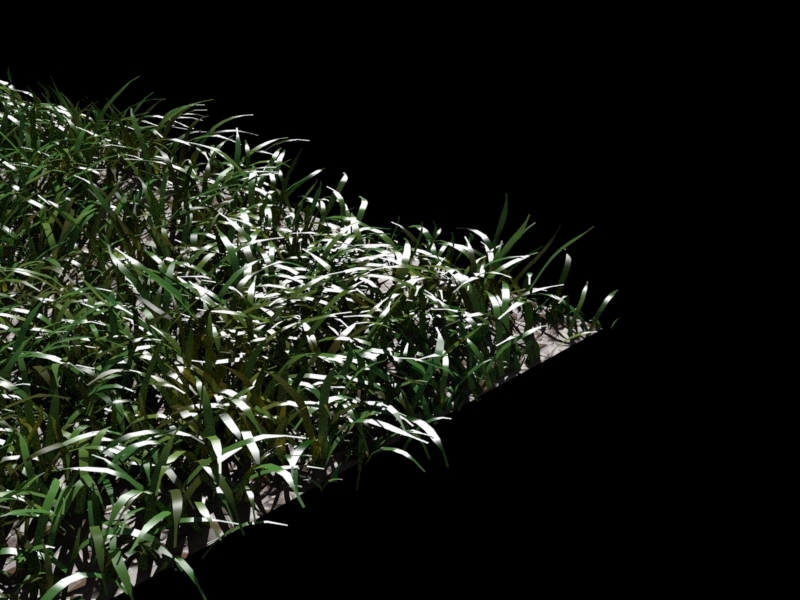 So the parallax function outputs distorted UVs, and these UVs are used to look up the colour textures for the grass and mud. The water normal is just scrolling in one direction, but that seems to give a good enough distortion effect. 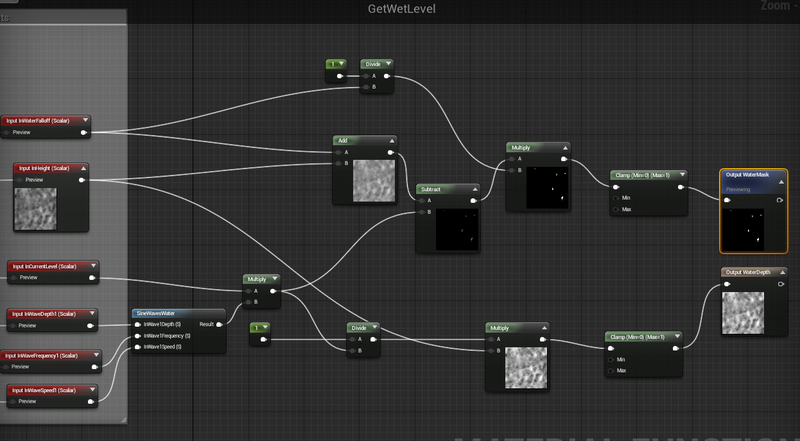 Use UE4’s flow maps to make the water flow around objects. Use the back buffer (or last frame) as an input to the shader for refraction. This would be necessary if you wanted to have things sink into the water a little, and be refracted. Get lighting to work above and below water (lighting is done based off the water surface normal, currently). This might be fixed by the previous improvement, if I can render and light the below water layer, then render the water surface using forward rendering and distort the already lit stuff below. Multiple lit layers are always a bit of a pain in deferred rendering. It would be really cool if I could have a dynamic texture that I could render height values into, and multiply it on top of the height in the material. 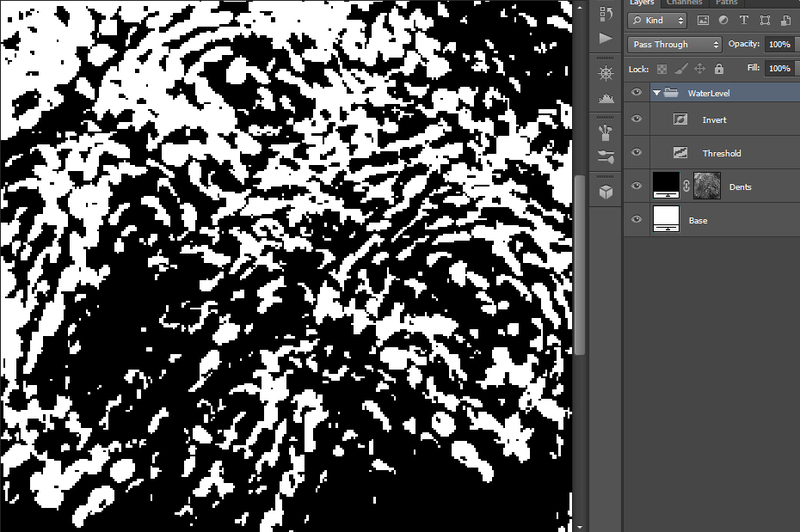 That way, I could create dynamic ripples, splashes, impact effects, etc! 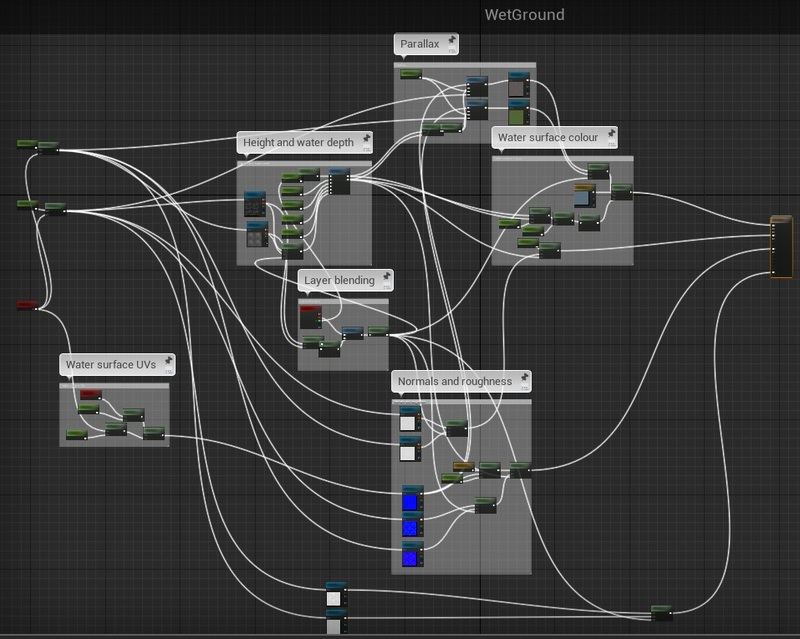 Not really sure how I’d go about that in UE4, but it would be neat. I’m not going to do any of those things, however, because I need to stop getting distracted and get back to my Half Life scene. Next Post Houdini? Who don’t-y?